*Tree trunks can not be larger than 6” in diameter. *If you are uncertain if the type of waste you have would be classified as construction debris, ask yourself if that item would be used for a construction or remodel project. If you are still unsure, please give us a call. All visitors must stop at the office upon each visit. 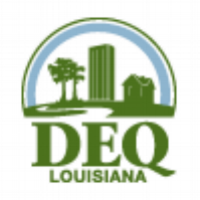 All loads will be inspected by a LA DEQ Certified Solid Waste Operator. DO NOT proceed until your load has been inspected. The operator will record your license plate # and material disposal type(s). If unloading assistance is needed and you are NOT properly equipped, a $10.00 fee will apply. The operator will inform you of your current charge. You will be instructed on where you will be unloading in the landfill. If your materials are not permitted for the landfill you will instructed accordingly. Only 1 person is allowed out of the vehicle while the excavator is unloading your vehicle/trailer. ALL OTHER PERSONS MUST REMAIN IN VEHICLE. all loads must be covered and secured as per state law. always be cautious of all moving machinery & fellow customers.